When this whole Retrospective Reviews thing began, I knew I would focus on stuff that I liked. However, I reviewed the obvious albums, the usual suspects; Radiohead, Gorillaz and Death Grips all fell under my sights, and there was nothing overly new to say about them that hadn’t already been said. I’ve decided to start a sub-series, if you will, dedicated to the less heard-of albums and artists out there, or maybe even albums by larger artists that tend to get overlooked. This is Forgotten Classics, and I hope you find something that interests you. 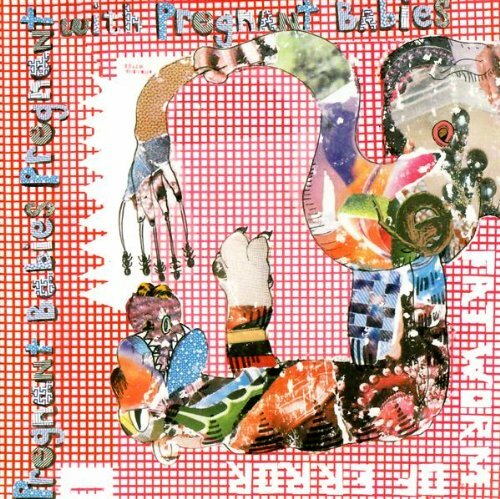 The preposterous album name probably gives the game away, but Pregnant Babies Pregnant With Pregnant Babies is a strange album. “Off-kilter” doesn’t even begin to describe the deconstructive sounds that are made here – it’s as if decades worth of rock music were ground up and eaten, partially digested by salivary enzymes, before being puked up in a mass of bile and stomach juices, and slapped onto CD. Yeah. One review I’ve read before now describes Fat Worm of Error’s sound as “skronk”, and thanks to a quick Urban Dictionary search, that seems to be fairly reasonable summation. According to the site, the word is “used to define music that is grating, dissonant, and frequently avant-garde.” Yup, this album sounds pretty much like that, featuring vocals that are somewhere between shrieking and singing, sludgy guitars, and a variety of percussive noises that amount to something of a controlled chaos. I’m probably not making this album an easy sell, but it’s certainly not the most difficult album I’ve ever heard, and there are passages throughout that actually resemble structured music. Just try it. You never know, you may enjoy it. The Music Tapes is the pet project of Julian Koster, a member of the Elephant Six collective and some totally indie band called Neutral Milk Hotel. Koster utilises some unusual DIY instruments, such as the singing saw and a bowed banjo, and vintage recording equipment to create a fuzzy, lo-fi sound that’s decidedly experimental, but homely and autumnal. 2008’s Music Tapes for Clouds and Tornadoes is certainly the finest album to emerge from the project, for it sounds quite unlike anything else of its kind. The lyrics are ominous in places, optimistic in others, but Koster always delivers them with the same heartfelt passion, amidst the raw, crackly backdrop of minimal instrumentation and elements of musique concrete. It’s an album that I think fans of folk-ier music may appreciate, due in no small part to the intimate environment it creates for the listener. All you have to do is step inside, and relax for 40-or-so minutes. Another product of the Elephant Six collective, this (those guys are really good, aren’t they?). This time, it’s a supergroup of sorts, and some of the names involved certainly arouse suspicion about the project; Jeff Mangum, the really not-famous front-man of some obscure group called Neutral Milk Hotel, the aforementioned Julian Koster, Kevin Barnes of of Monteal (get your head around that one! ), and many other Elephant Six members are believed to have contributed too. Nobody knows who (or what) Major Organ is, but he is the leader of the Adding Machine, and his band made one self-titled album back in 2001. I believe there’s supposed to be some sort of narrative or over-arching theme behind this album, but I cannot hear it – instead, I hear noisy slabs of 60s psychedelic pop, interspersed with trippy sound collages. It’s fairly bonkers, to say the least, but don’t let the vibrato’d opener scare you off, for the 30 minutes that follow are a joyous ode to an era of catchy melodies, cryptic lyrics and copious use of psychedelics. It’s amazing to think that an album that features so much talent from the world of indie music is oft-overlooked, so I say go check out Major Organ and the Adding Machine for a blast of experimental, yet sort-of accessible pop.